Learn how paddles are made and repaired. 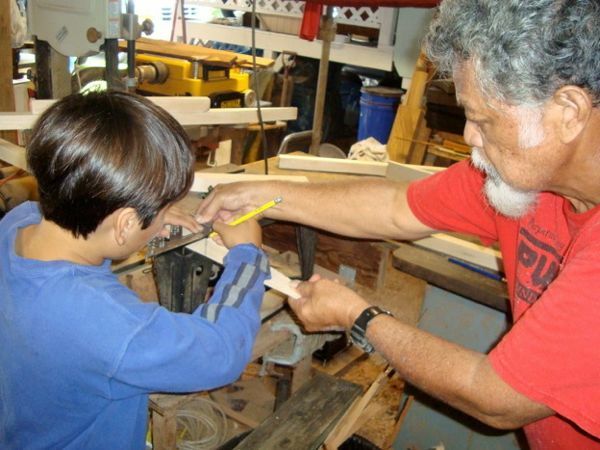 Enjoy the hands-on experience of finishing your own paddle to take home. Makes a great gift for your family members and friends! This program is great for adults and keiki – families have a great time doing this together! You will learn so much about Hawaiian culture, about wood-working, about outrigger canoeing, and of course stories of many of Hawaiian legends, from on and off the water! Please be sure to join our email list in the right column so we can contact you when the new dates are confirmed!